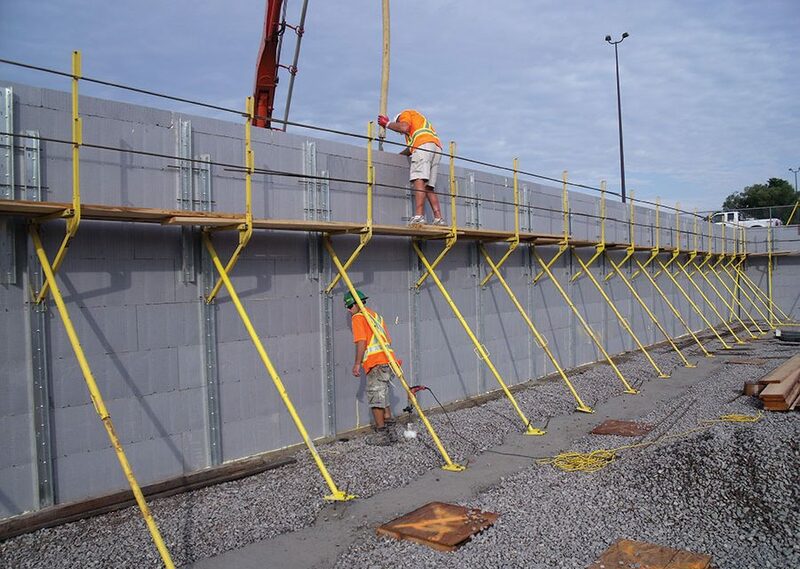 Turnbuckle braces not only helps keep your walls straight and plumb, but they can also play a major role in improving company profitability and help win bids on larger projects. 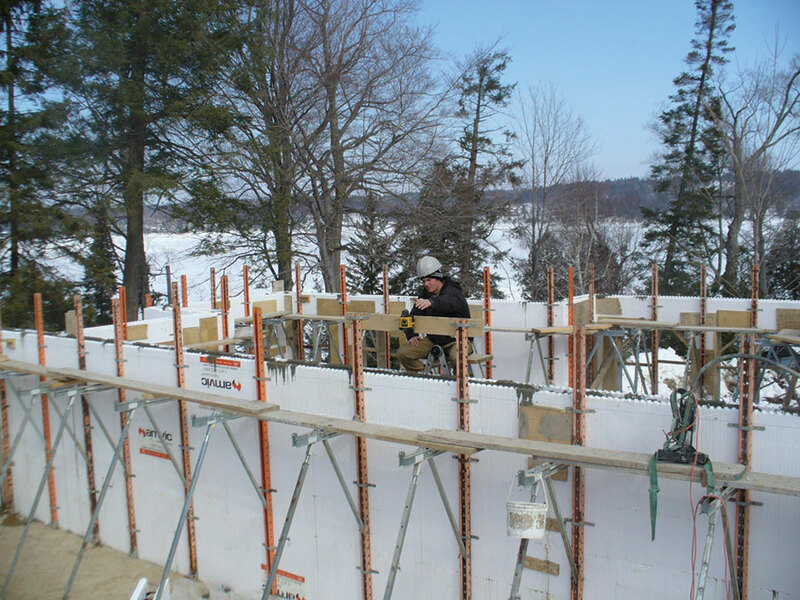 The importance of a good ICF wall bracing system cannot be overstated. 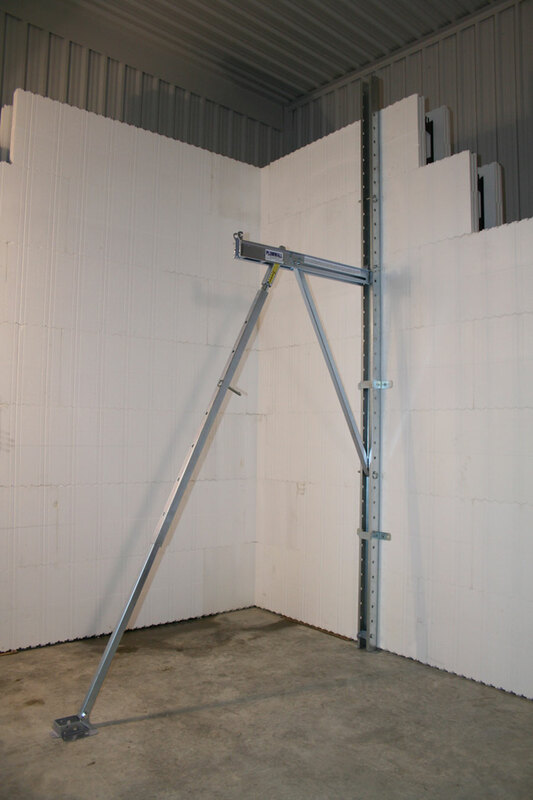 Even stemwalls three or four courses high require bracing. 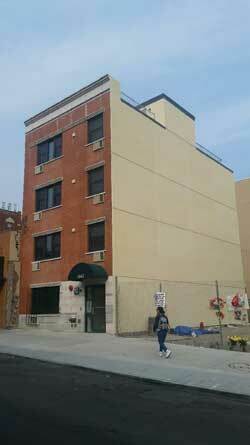 The walls may look plumb, square and level without bracing, but typically they aren’t. It happens with alarming frequency. 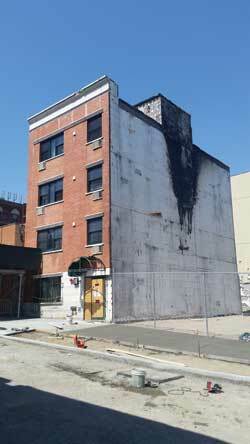 Over the past ten years, dozens—probably hundreds—of jobs have been lost because of shoddy bracing. And it affects not only that contractor, but the entire industry. 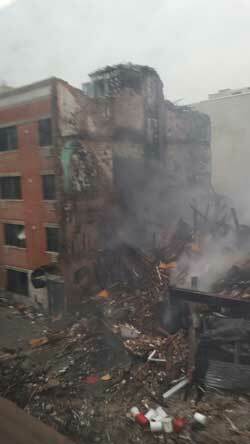 In some regions, ICFs have been effectively locked out of the market because of a single thoughtless builder who tried to shave a few hundred dollars off his bid. It doesn’t have to be this way. 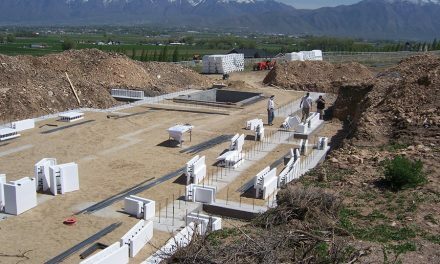 Over the last decade, dozens of high-quality ICF bracing systems have been developed, and are surprisingly affordable. 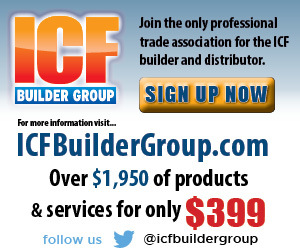 Most ICF distributors will also rent bracing, conveniently packaged in a crate or on a trailer. 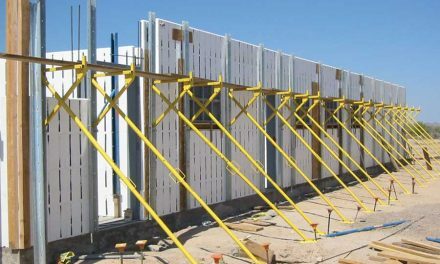 Many will rent the bracing even if the forms were purchased from a competitor; they understand that they have an interest in making every job successful. 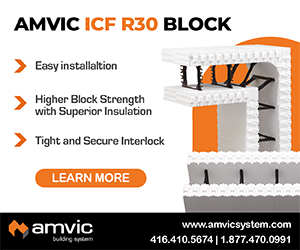 Simply put, ICF installers can’t afford not to use some sort of quality, adjustable ICF brace. 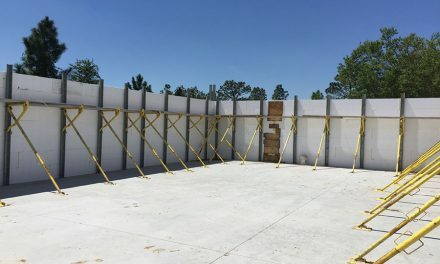 “The goal of the ICF contractor should be to do a good job, and do it profitably,” says Jeff Bresler, sales manager for Monobrace. “Turnbuckle bracing helps him meet both these goals. More than half-a-dozen bracing systems are currently on the market, each with their own unique traits. The turnbuckles, type of storage system, and pricing varies widely as well. While installers may weigh factors differently than the distributor, a few traits always rise to the top of the list. 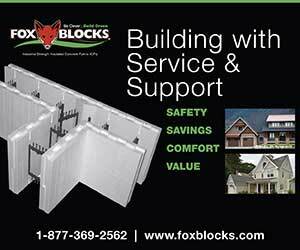 Rigidity—Installers and distributors both agree that the bracing system—especially the strongbacks—must be rock solid. Durability—A closely related factor is the durability of the system. This is especially important for distributors planning a bracing rental business. Other areas to check are the turnbuckles (are they protected from concrete splatter?) and the foot plates (stamped vs. welded). Williams recommends checking if the bracing manufacturer that offers a written warranty, and the availability and cost of replacement parts. Weight—One of the challenges with heavy, rigid bracing is that it often ends up weighing too much. 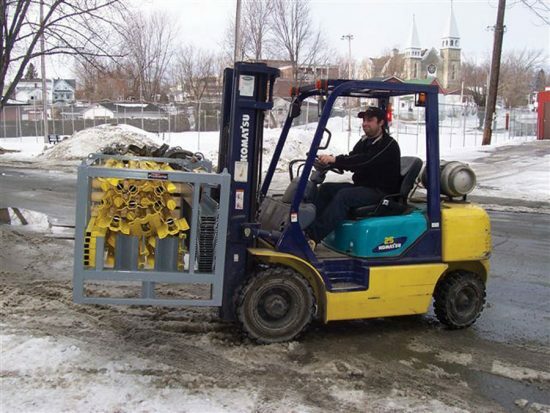 It’s too heavy to easily transport, and too heavy to carry around the jobsite. Turnbuckles—Many claims are made about why one brand’s turnbuckles are better than another, but it comes down to one thing: how easily does it adjust the wall? For starters, how far will it move the wall? Most brands have a length of travel of around six to eight inches. Some braces use coil thread, some standard thread, which affects how many turns per inch are required. The method of turning also varies. Giraffe and the discontinued Arxx brace use circular tubing with welded handles. Plumwall can be manipulated with a cordless drill. 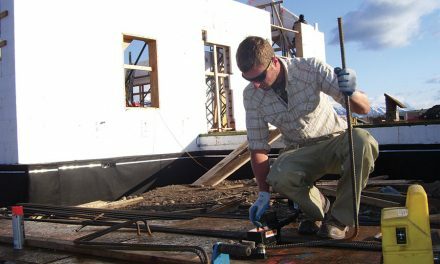 Reechcraft uses square tubing, and a few require a wrench. Some brands emphasize the convenience of being able to adjust the turnbuckle from the scaffold. This may be a factor with a small crew, but on jobs with more than three individuals, it fades in significance. More important is protecting the turnbuckle from splatter. Giraffe uses an internal jack system to protect the threads. Others, like Hilltop, put the threads at the bottom of the turnbuckle so concrete splatter is not an issue. Storage System—Even for the busiest installer or distributor, braces will spend more time in storage than they will on the wall, so convenient, compact storage is a prime consideration. Giraffe Brace set a new standard when they unveiled their crate system in 2007. Others have followed suit; Plumwall’s trailer-mounted bracing set has attracted a good deal of attention. Versatility—Finally, consider the versatility and completeness of the equipment as well as the price. Does it include a scaffolding bracket or built-in safety rail? Does it come with ground stakes or is the user expected to have rebar on-hand? 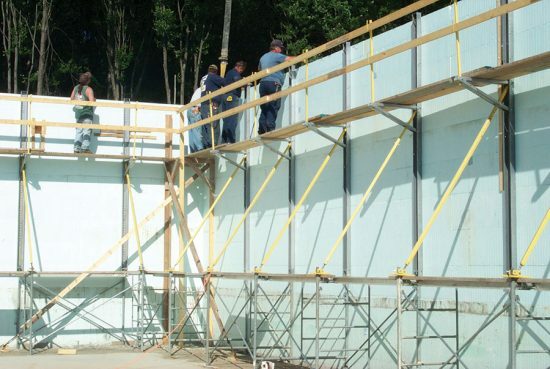 How many additional components are needed to convert it for stemwall and tall-wall applications?